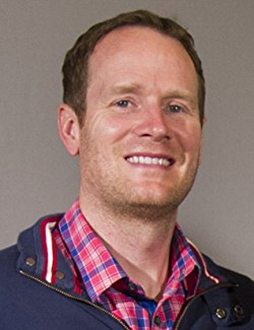 Productivity expert Damon Zahariades is owner of ArtOfProductivity.com, a site devoted to showing you how to hack your day to get more things done. He wasn't always productive. Damon spent many years in Corporate America, dragging himself to ridiculous meetings and enduring the impromptu "drive-by" visits of his coworkers, before striking out on his own. Today, he owns his own content marketing agency and creates action guides that show others how to boost their productivity. Improving your life requires more than inspirational words and motivating concepts. Too many personal development books give you great ideas but don't show you how to apply them. What you need (and what Barrie provides) are proven actions that work -- each designed to help you solve a specific life challenge or problem. Barrie writes books for a variety of people hungry for positive change and willing to take action to make it happen -- men and women who want better relationships, stronger confidence, positive habits, more mindfulness, and improved emotional intelligence. What makes Barrie's books different is her ability to explain complex ideas and science-back strategies in a simple, accessible way you can implement right away. Barrie is a certified coach, top-ranked blogger, and online teacher. She enjoys reading, hiking, mountain biking, and spending time with her family. Elaine Biech is president of ebb associates inc, a strategic implementation, leadership development, and experiential learning consulting firm, has been in the field for 30 years helping organizations work through large-scale change. She has presented at dozens of national and international conferences and has been featured in publications such as The Wall Street Journal, Harvard Management Update, Investors Business Daily, and Fortune Magazine. She lives in Norfolk, Virginia. No matter the country, training truly is the answer to a productive, engaged workforce that can meet today’s demanding business imperatives. For China, training is a cornerstone of its continuing economic success. This clearly written, engaging text is an arm-chair guide for Chinese training professionals desiring to hone skills, master new training delivery, design programs, and gain insight from a well-respected, tenured expert. Imparted in Elaine’s straight-forward, no-nonsense style, this book is a complete guide for training in China. Filled with material specific to China, Elaine shares her innovative training secrets and rock-solid training expertise, emphasizing both classic and cutting-edge approaches that ensure that learning and transfer occurs. Marketing Your Consulting Services is a complete how-to guide that will help you develop and implement a dynamic marketing plan that will make your consulting business more visible to clients and more competitive in the marketplace. 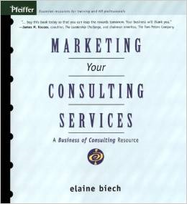 Written by Elaine Biech— one of the foremost experts in the field of consulting— this practical and easy-to-use resource includes useful guidance, practical ideas, special consulting considerations, and creative tips. 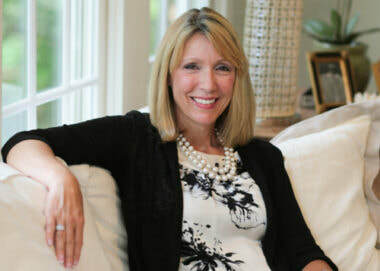 ​Renie McClay, MA, CPLP is a global learning consultant who is passionate about connecting with people—from many cultures, on many topics, and on many levels. Renie has managed the training function for several Fortune 500 companies, including Kraft, Novartis, and Pactiv (makers of Hefty). After 20 years in corporate training and development roles, she started her own firm, Inspired Learning LLC. She designs and delivers training for increased performance. A quick and practical resource for people who want to liven up the learning process. Knowing how and when to use interactive and engaging training methods is a key ingredient to making learning stick. This book is a collection of tried and true activities to get participants engaged and interacting with others to learn something. There is something here for everyone - accidental trainers and those new to the training field, as well as seasoned trainers. This is the why and the how for building interaction and engagement in training. It includes examples and instructions that can easily be incorporated in learning solutions. There are even ideas on leveraging technology! by Renie McClay, MA, CPLP. are different when interacting with global or multi-cultural audiences. preparation and suggestions of information to find out before you go. Seasoned professionals offer ideas and suggestions to help you be successful in the classroom or in front of an audience.